Port Charles’ resident hit-man with a heart of gold was gunned down in cold blood this week and became the fourth (technically fifth, if you count Franco) Quartermaine heir to die in the last decade. Four of them, ironically, were the offspring of Alan and Monica Quartermaine (Tracey’s two sons are still alive). Alan himself succumbed to a heart attack several years ago – and became the fifth heir to die. I suppose, if you really want to get technical, Justus was a Quartermaine heir, too. So that would be six deaths. Fans are sick to death (pun intended) of the decimation of the Quartermaine family. The Quartermaines were once the heart – and funny bone – of the show. So, while I’m glad Jason Morgan is leaving – I would have welcomed Jason Quartermaine back with open arms. Does that make any sense? Anyway, in the waning seconds of Friday’s episode black sheep boozer A.J. Quartermaine stepped through the parlor door and greeted his mother. 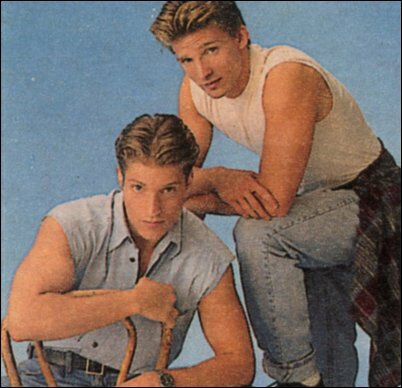 For those not in the know, Sean Kanan is playing him this go-around – not Billy Warlock. Anyway, A.J. was killed off years ago in a murder mystery that pointed the figure at everyone – and then literally brought down a virtual no one as the culprit. I’m not sure how he’s been resurrected this time. All we are sure of is that – for a little while at least – his mother Monica knew he wasn’t really dead. I’m glad to see A.J. I’m also hopeful that the current writing regime won’t repeat the mistakes of the last writing regime. You know the ones, where the criminals on the show (Sonny and Jason) are the heroes and everyone else is somehow evil? The truth of the matter is, A.J. was sacrificed at the altar of his brother, Saint Jason of the Docks, for years before he was ultimately written off. It was, essentially, disgusting. While the current writing regime at ‘General Hospital’ is profoundly better than the last two writing regimes, they still have issues. That was obvious this week when Jason – an actual mob hitman – was mourned as a hero and all around good guy that was just misunderstood. Jason’s grieving widow actually had the audacity to go off because lawyer Diane was representing the man that she thinks stole her son. That’s pretty rich – since her husband stole brother A.J.’s son. I’m hopeful that A.J. will be written as a flawed individual – but one that isn’t the villain in this story. I want A.J. 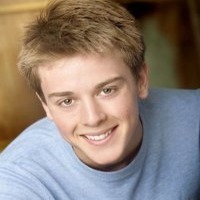 to get to know his son (how much do Kanan and Chad Duell look alike?). I want A.J. to completely infuriate Carly and Sonny. I want A.J. to romance Liz – anyone see potential sparks there? I want A.J. to be a centerpiece in Port Charles. I understand we still have a few weeks of grieving for Jason Morgan ahead of us. The truth is, though, the show is better off without him. I’m guessing we’re going to get some scenes of an amnesiac Jason wandering off on his own or – better yet – Jason being kept captive in the bed next to Robin. We also have the funeral of Edward Quartermaine to look forward to. Yes, I know, this was another Quartermaine death. However, this time the actor John Ingle died in real life. I don’t want the character recast, so paying homage to him is the next best thing. We’ve already got confirmations on returns for Skye and Ned – and rumors abound that there might be ghostly visits from Alan and Emily. Quite frankly, while we’re resurrecting Quartermaines, why not just go all the way out on a limb and say Helena has been keeping Alan and Emily? I’m willing to believe it. I promise. I think bringing A.J. back is a definite step in the right direction. Let’s hope the writers don’t screw it up. What do you think? Are you looking forward to A.J.’s return?